This Hotpoint Cooker Hood delivers 3 different stages of extraction power, with an optional booster function for when you need a quick blast of extra power to help clear the air. It even comes equipped with an optional silence button so you can cook in conversation. The design is subtle and elegant, featuring glass panelling, 2 halogen lights and 2 charcoal filters that catch grease and foods splashes. You can adjust the intensity of extraction through the electronic button control panel that also lets you know when it’s time to replenish your filters. 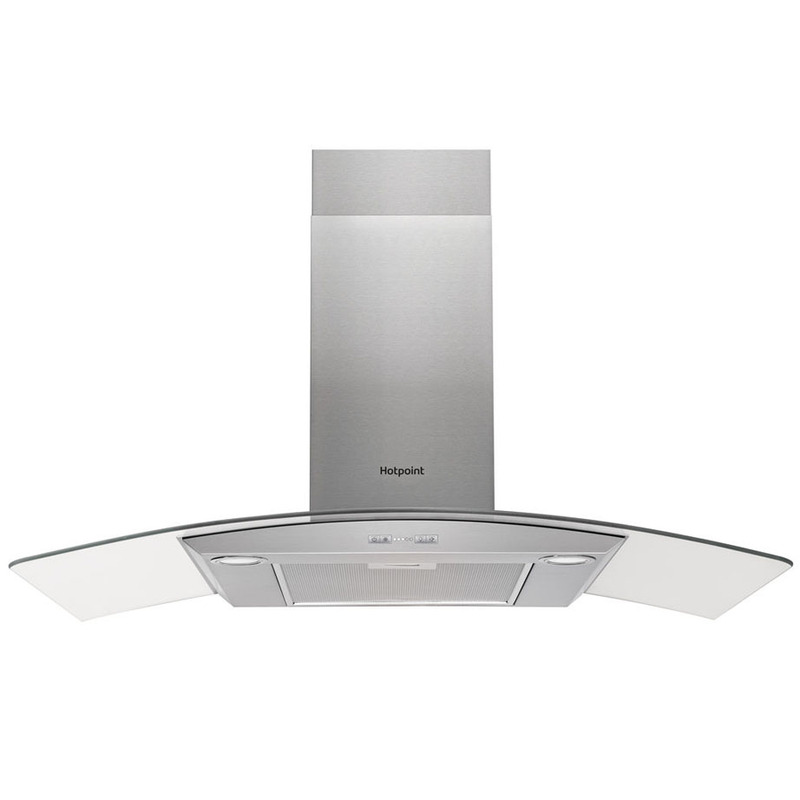 This built-in Hotpoint Chimney Cooker Hood has a clever silence button that quietens the hood right down to a subtler level. This is ideal for cooking late night meals without waking up the household. 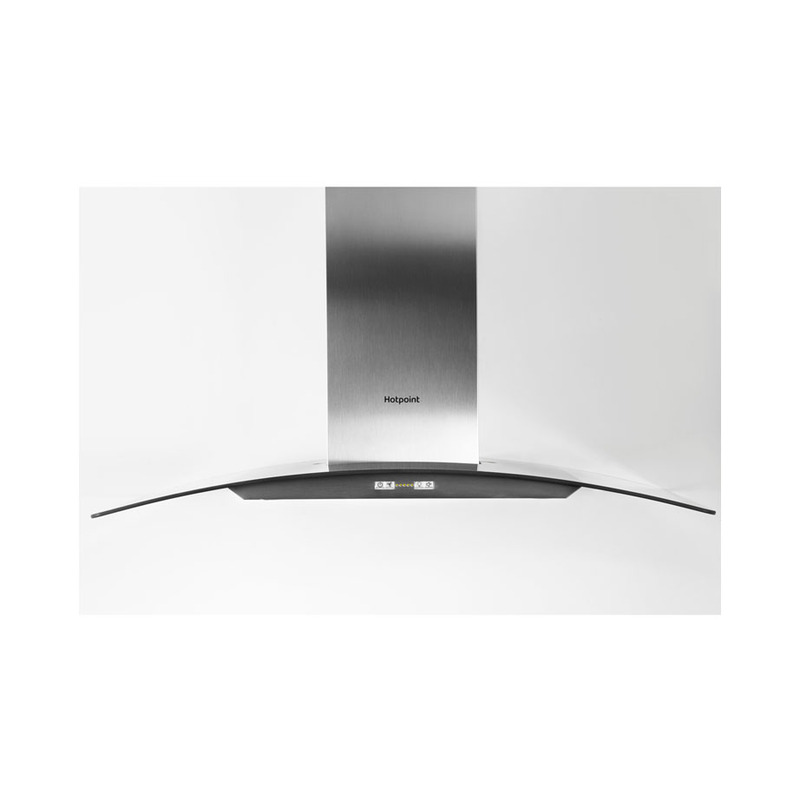 Stylish as well as functional, this cooker hood features a striking curved glass finish which will look stunning over any cooker. Designed and crafted to make an eye-catching centrepiece in the heart of your kitchen, this is a great option for modern, open plan spaces. The handy indicator on this cooker hood lets you know when the filters need cleaning. This helpful feature ensures that there is no build-up of grease and dirt, ensuring that you enjoy maximum extraction at all times. 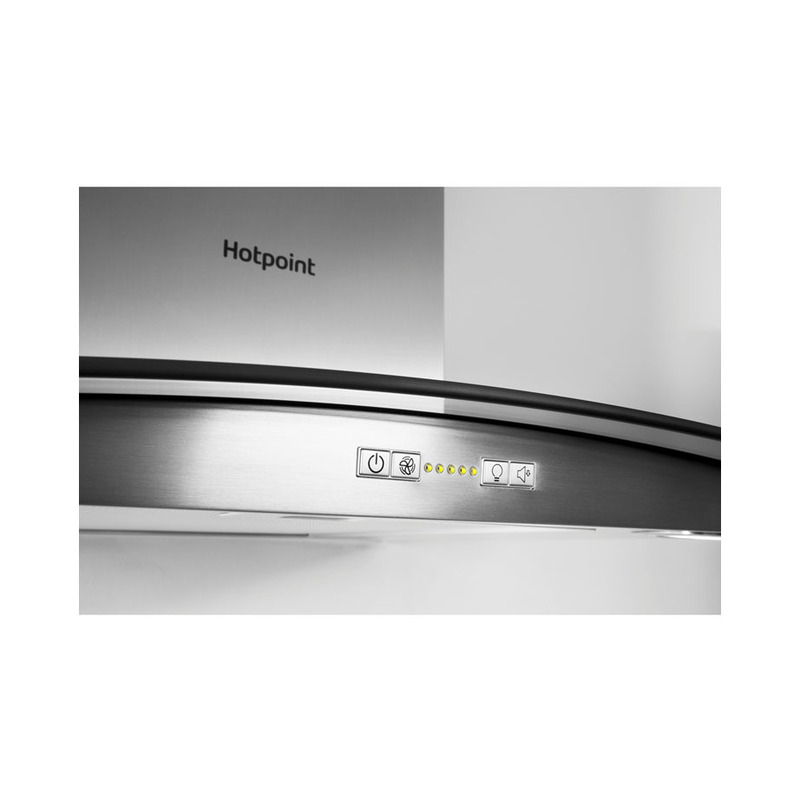 There are three speed settings in this Hotpoint cooker hood which cater for all levels of smells, grease, smoke and steam. Use the slower speed to extract steam when you’re boiling pasta or scrambling eggs. The middle setting is handy when cooking with strong smelling ingredients such as garlic and onions. Utilise the highest setting when cooking foods with very strong smells or higher fat contents, such as fish or bacon. Whichever setting you choose, your kitchen will be fresh and smoke free during and after food preparation.